Develop a range of specialist skills - from ethical hacking to penetration testing and network security - and prepare for a rewarding career in Cyber Security. This course is designed for graduate students and IT/ICT professionals who want to prepare for a successful career in computer, network and information security. It will help you to develop your specialist analytical, operational and development skills in both technical and socio-technical areas of cyber security. This Masters programme will particularly suit students who have completed a first degree in a computing subject, such as computer science or business computing. It will also suit graduates who have completed a numerate subject with a significant computing component, such as applied mathematics, engineering or physics. Acquire the knowledge, skills and techniques needed as a professional in computer science. Semester 1 - become an ethical hacker. Your challenge: to identify flaws in a computer system by breaking its crypto components and retrieving sensitive information from an e-commerce company. Semester 2 - become an investigator. Your challenge: to analyse network traffic, logs and detect attacks in a company's network. You must trace hackers and bring them to justice with concrete proof and reporting. Accredited by BCS, The Chartered Institute for IT for the purposes of partially meeting the academic requirement for registration as a Chartered IT Professional and partially meeting the academic requirement for registration as a Chartered Engineer. You should hold at least a lower second-class honours degree from a UK institution (or the equivalent from an international institution) in Computer Science or a related discipline with some mathematical content. Relevant industrial experience may also be considered for entry to this course. These programmes are designed for international students who do not meet the required academic and English language requirements for direct entry. To prepare for this degree course, learn more about the Graduate Diploma in Informatics. Please upload a detailed personal statement outlining why you wish to study this specific course, at City, University of London, as well as explaining how your past studies have prepared you for this course and how it will help you to progress in your career. If you require a Tier 4 student visa to undertake a Master's programme in the UK, then please note that the quality of your personal statement will also be taken into account by the visa issuing authorities when deciding to grant you a student visa or not. Develop an in-depth understanding of Cyber Security while gaining hands on experience. Practise ethical hacking / penetration testing techniques. Use investigative tools for revealing threats and vulnerabilities. 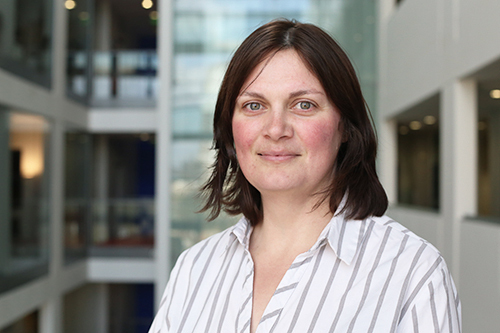 Elizabeth van Deventer has chosen to study the MSc in Cyber Security at City, University of London. She’s an international student from South Africa. 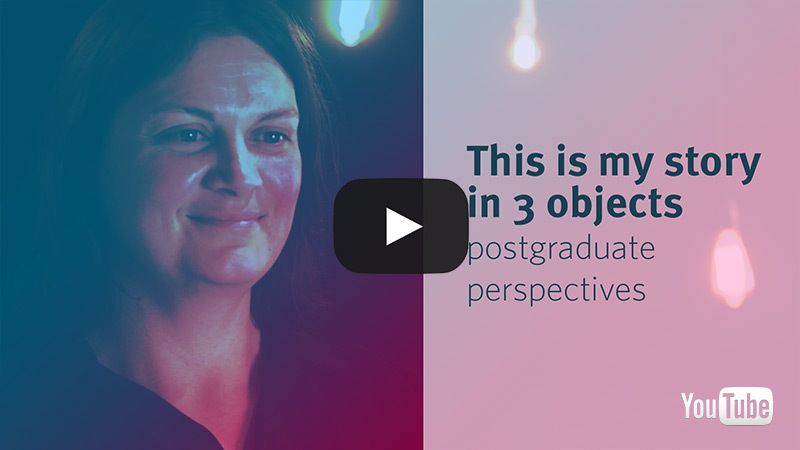 Here Elizabeth shares her story through 3 objects, symbolising her past, present and future. As a postgraduate student on a Computing and Information Systems course, you will have the opportunity to complete up to six months of professional experience as part of your degree. Our longstanding internship scheme gives you the chance to apply the knowledge and skills gained from your taught modules within a real business environment. An internship also provides you with professional development opportunities that enhance your technical skills and business knowledge. Internships delivered by City, University of London offer an exceptional opportunity to help you stand out in the competitive IT industry job market. The structure of the course extends the period for dissertation submission to January, allowing you to work full-time for up to six months. You will be supported by our outstanding Professional Liaison Unit (PLU) should you wish to consider undertaking this route. Develop new skills: Internships offer on-the-job learning that will help enhance your skill set and add to your CV. Access exclusive opportunities: The PLU is a dedicated team of internship and professional development specialists. We hold longstanding relationships with a large range of employers and proactively seek out exclusive internship opportunities to suit your needs and interests. Benefit from a central point of contact: You will be assigned a Work-Based Learning Advisor who will provide help and support throughout the internship process - from applying for roles through to completion of your Masters. Enhance your employability: Organisations are very keen to employ graduates with existing professional experience. It is common for internship providers to offer interns full-time positions on completion of their Masters. Gain an insight into an organisation and industry: This will help you with future career planning. Give you a head start in your chosen field: With the experience you gain, you may be able to enter an organisation at a higher level on completion of your studies. Develop your network of professional contacts: This will be useful when you come to apply for positions and roles within your preferred area. Earn while you learn: The majority of internships provide a competitive salary. More information on postgraduate internships. The Department of Computer Science has invested in the design and implementation of a virtual laboratory (CybSec) for the purpose and needs of the Cyber Security course. CybSec is a virtual networked lab where hacking, penetration testing, malware analysis and security monitoring take place in a controlled and isolated environment without violating City's IT Policy. In addition, the security analysis of practical cryptosystems requires high computational power and resources that are used for code breaking. CybSec lab supports our teaching efforts and enhances our research strengths. The MSc in Cyber Security is a one year full-time course. On completion of eight taught modules and an individual project you will be awarded a Master of Science (MSc) degree. The teaching and learning methods used increase the levels of both specialisation of content and autonomy of learning as you progress through the programme. This progress will be guided by active researchers in cyber security, culminating in an individual project, an original piece of research, conducted largely independently with appropriate academic supervision. The standard format is that taught modules are delivered through a series of 20 hours of lectures and 10 hours of tutorials/laboratory sessions. Indicate additional topics and resources for private study. Tutorials are used to help you develop skills in applying the concepts covered in the lectures of the relevant module, normally in practical problem-solving. Laboratory sessions serve a similar purpose as the tutorials, helping to demonstrate application of concepts and techniques through the use of state-of-the-art software development tools and environments. You will be expected to undertake independent study and substantial coursework assignments for each module, amounting to approximately 120 hours per module. The coursework takes many forms, including programs, theoretical work, and essays, and is primarily formative, but also contributes to module assessment. Coursework will be used across all of the security specific modules to ensure that you get appropriate hands-on operational experience of relevant aspects of cyber security, including testing and analysis. Some of the coursework may be organised in ways that shadow larger scale exercises, such as the Cyber-Security Challenge. The individual project (full time) is carried out over the summer period, and if done without a placement, lasts approximately 14 weeks or 600 hours. If undertaken within an industrial or research placement, the project period extends by up to six months. The assessments focus on activities that you need to undertake either as part of your role or to support you in developing your professional practice. The assessment for the project module is in the form of a traditional dissertation reporting your work. Full-time students attend all taught modules during Term 1 (Oct-Dec) and Term 2 (Jan-Mar), and then complete their Project over 3 months (Jul-Sep), within the 12-month period of the degree (18-months for the intership route). This assumes they pass all the modules. Students will usually need to attend three or four days a week. Teaching is generally during day (09:00 to 18:00), but some elective modules may be taught in the evening. Students may take an internship route, in which they are given an extra three months for an internship-based Project. You will cover areas of Masters-level computer science, such as research methods and scientific presentation and analysis skills. There are eight taught modules in total, comprising five core modules, two security elective modules and one general elective module. In addition, there is a full-time individual project completed over the summer. If we have insufficient numbers of students interested in an elective module, this may not be offered. Typically, one or two of our elective modules do not run due to low interest or unanticipated changes in timetabling, including scheduling clashes, room and staff availability. If an elective module will not be run, we will advise you at the beginning of each academic term or as soon as possible and help you choose an alternative module. The taught modules are delivered through 20 hours of lectures and 10 hours of tutorials/laboratory sessions. Coursework assignments for each module, amount to approximately 120 hours per module. The individual project (full time) is carried out over the summer, and if done without a placement, lasts approximately 14 weeks or 600 hours. The core modules enable you to specialise in areas of cyber security, such as cryptography, network security, information security management, security audit and certification. You will engage with researchers to develop your scientific knowledge and skills. You will choose security electives to tailor the programme to your chosen career path, developing your expertise in areas of cyber crime, such as digital forensics and the socio-technical aspects of security. You will choose a general elective to complete your rounded skillset for a career in the field of computer, network and information security. This MSc is geared towards preparing you for a successful career in the field of cyber security, providing you with highly sought-after specialist analytical, operational and development skills in both technical and socio-technical areas. As a result, our graduates move into a range of careers in the IT/ICT sector, as well as the telecommunications and banking industries. Careers in information security are particularly popular with course alumni. Top students may also be considered for an internship programme, in which companies sponsor you during your research project. To help you fulfil your future career goals, our Careers, Student Development & Outreach service provides support, advice and assistance every step of the way.